"The Columbia has less snowpack than the Snake, so the (flood control) targets aren't as deep as we've seen in past years"
Except this spring it's not. Here's the backward part: When the snow is deep and the spring runoff above average, Brownlee tends to shrink. There's quite a lot of snow this spring in the Idaho mountains upstream from Brownlee. That's similar to the snowpack in early April of 2017. That year the Corps of Engineers ordered Idaho Power to severely lower Brownlee -- to 64 feet below full by the end of April. The tentative target for April 30 is 9 feet below full -- or 55 feet higher than the same day two years ago. Hildreth acknowledges that it's unusual for the Corps of Engineers flood control requirements to be this lenient when the Idaho snowpack is well above average. 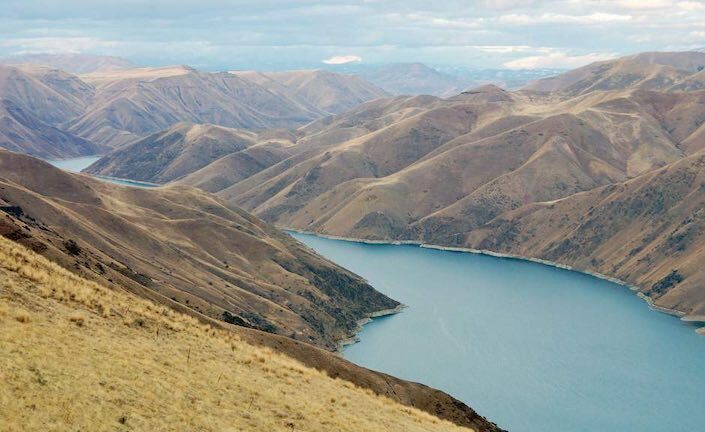 Those upper reaches of the Columbia River basin, above Grand Coulee Dam, have an outsized influence on flood control requirements on the lower Columbia, Hildreth said. That's because the Snake, major river that it is, ranks well behind the mighty Columbia in volume. "The Columbia has less snowpack than the Snake, so the (flood control) targets aren't as deep as we've seen in past years," Hildreth said.